Glasgow is less than 3 hours by train from Newcastle and the perfect destination for a city break. The city is full of beautiful architecture, lots to do and some fantastic restaurants and bars. 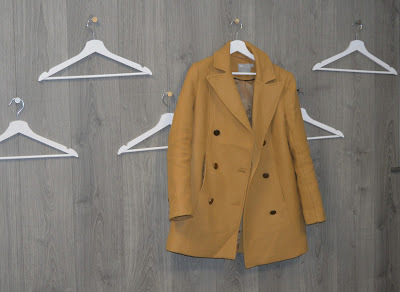 Glasgow is also the largest shopping city outside of London in the UK making it even more perfect for a girls weekend away. 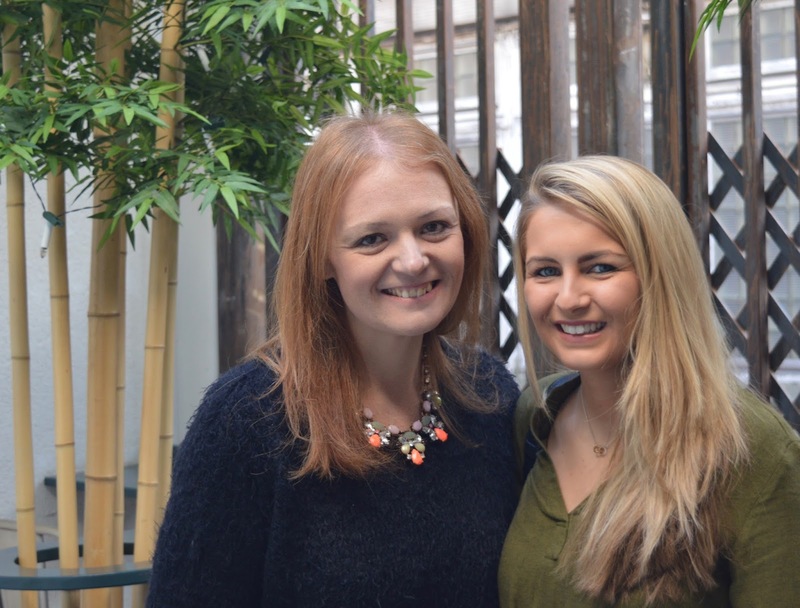 After work on Friday, I met with my friends Chloe and Katie at Newcastle Central Station and we were off! Katie opened her birthday champagne and it was lovely catching up with our news on the train. Before we knew it we had arrived at Glasgow Central Station which is such a gorgeous building - our first impressions of Glasgow were good! 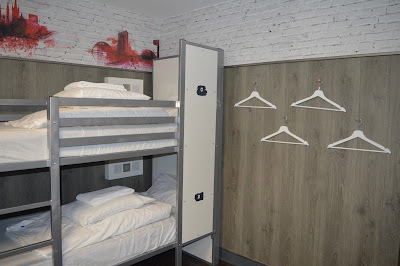 Hostel Suites by Euro Hostels would be our home for the evening which are conveniently located on the same street as the train station - just a 5 minute walk away. 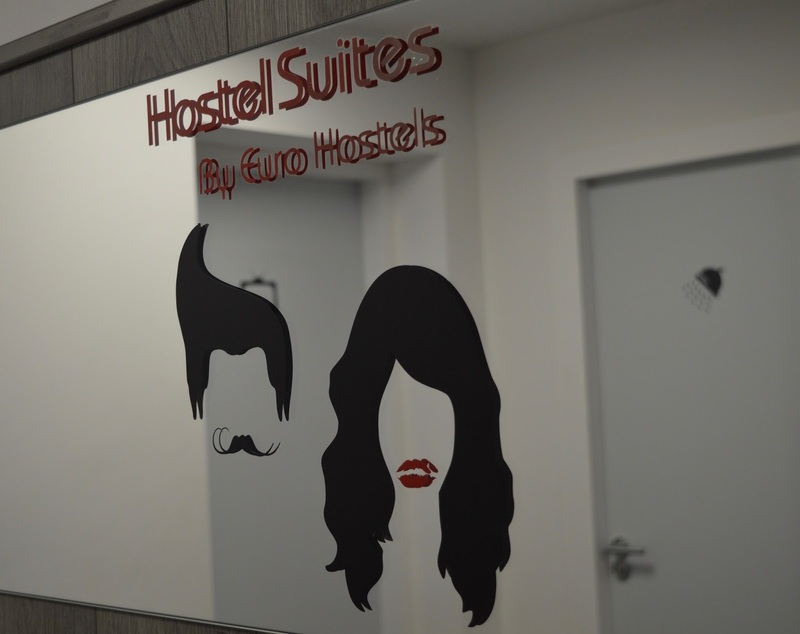 Hostel Suites by Euro Hostels are a brand new concept and are set to completely change the perceptions many may expect from a typical hostel experience. The suites are like a huge apartment and only accessible by your own party. We had our very own private lounge complete with comfortable sofas, an HD TV and football table. 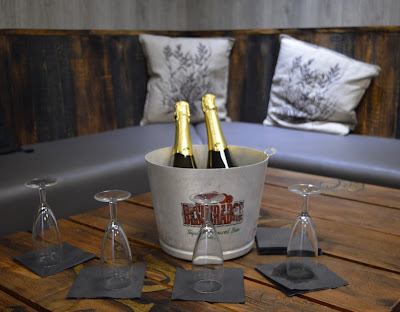 We had planned to hit the bars of Glasgow as soon as we arrived however the suites were just too lovely to resist so we decided to open a few bottles of champagne and enjoy a girls night in with drinks, gossip and nibbles instead. There are nods to traditional hostels in the form of bunk beds - our suite featured a separate bedroom which could sleep up to 8 people with 4 sets of bunks. 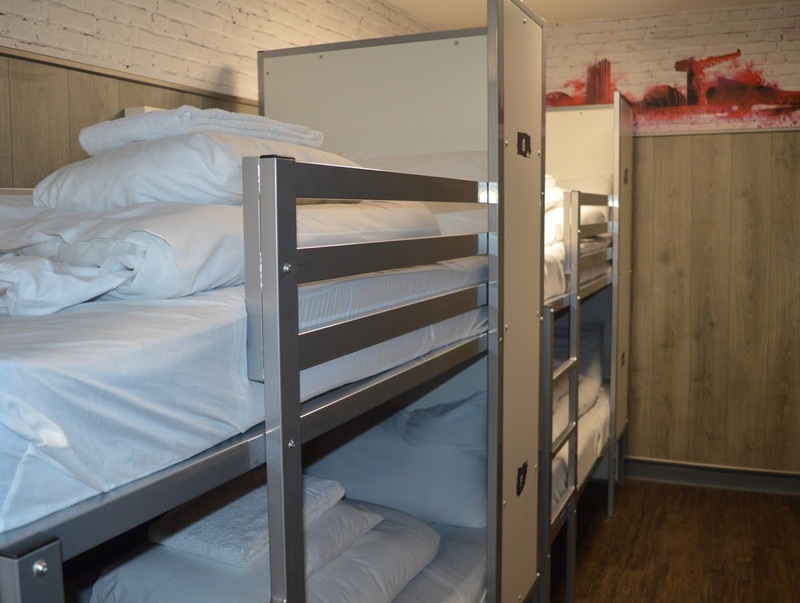 The beds were comfortable and made up on arrival with individual reading lights and sockets by the bed - perfect for late night reading and phone charging! We were worried about how loud our neighbours might be and wondered if they would disturb our sleep - we didn't have to worry though and we all managed a good 9 hours of un-interrupted beauty sleep! Space in your suite is given priority - there is LOTS of it! 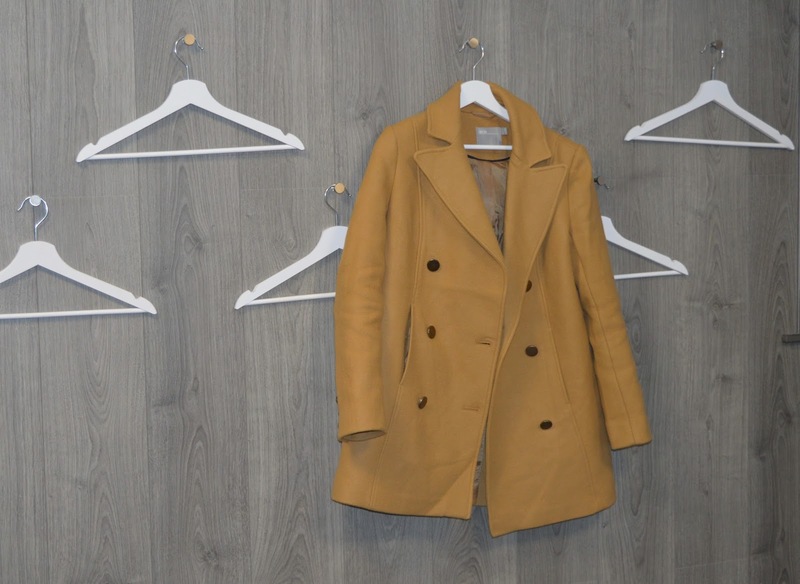 The design of the suites is very clever, there aren't any wardrobes but instead lots of hangers on the wall. Creative and functional! 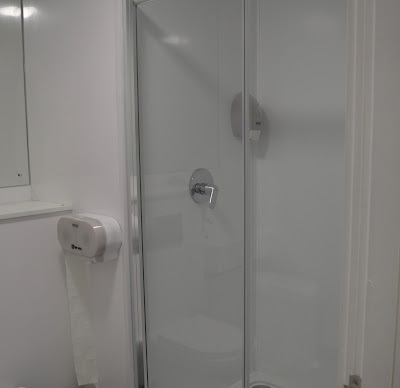 Our suite featured 3 private bathrooms with showers and loo's - they were modern and absolutely spotless - no dodgy mould or drain issues to speak of at all. Everything was sparkling. We were even provided with our own fresh, fluffy towels. If you are staying in a hostel suite you have access to the communal games room, kitchen and lounge that can be accessed by all hostel users. 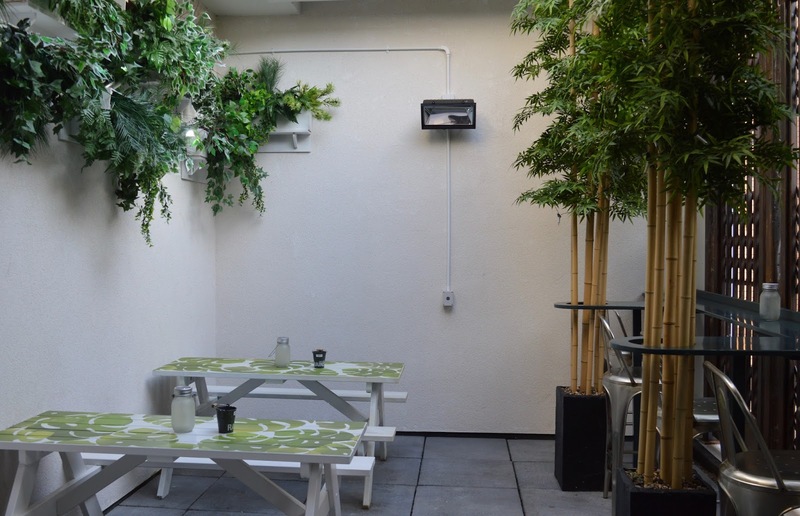 You also have access to a special secret garden which is exclusive to suite guests - this outdoor roof terrace has been kitted out with heated lamps, lanterns, plants and various seating options and is the perfect spot for a few al fresco drinks in the evening or morning coffee. 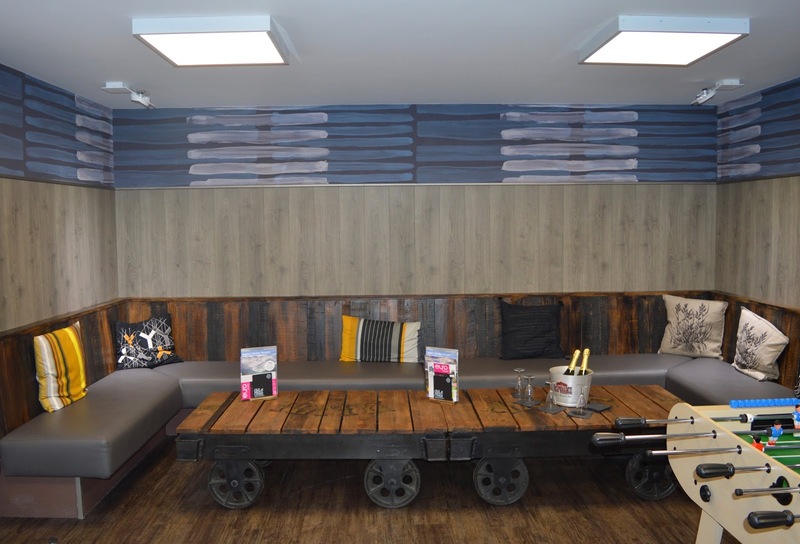 Euro Hostel Glasgow has it's very own 'Mint & Lime' bar downstairs. We took advantage of their fantastic drinks deals on check in (bottle of house wine £5.95, bottle of sol £2, pitcher of cocktail £5.95) whilst catching the end of the rugby on the big screen. It was also our destination for breakfast the next morning which was £5 for an unlimited all you can eat buffet including hot drinks and juice. Bargain! 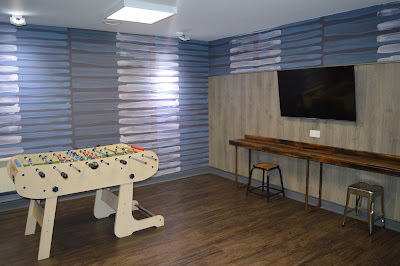 Eurohostel suites are available for groups from 2-20 people. Our 8 berth suite cost £170 on a Friday night which if fully occupied would work out at just £21.25 per person. BARGAIN!!! I even think at less than £60 per person for the three of us it was still amazing value. We did experience a few niggles during our stay - our tv didn't work, the air conditioning/filtering was noisy at times and our room being spotlessly clean was at the cost of it also smelling strongly of cleaning fluid. This however would absolutely not put us off visiting again - the staff were wonderful, the suite was spacious, modern and clean, we enjoyed a decent nights sleep in a city which is famous for partying and the 5 minute walk from the train station was a huge plus too. We were even able to leave our luggage behind the hostel reception for a mere £1.50 as we explored the city for the day. 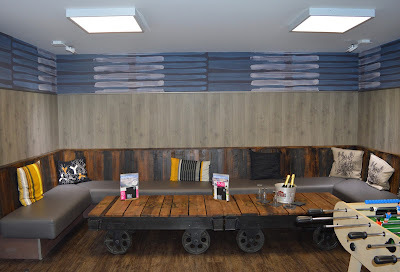 I think the Hostel Suites in Glasgow would be the perfect location for a group of friends visiting Glasgow city centre for a weekend away - whether this be for a stag or hen party, birthday celebration or just a much needed catch up. 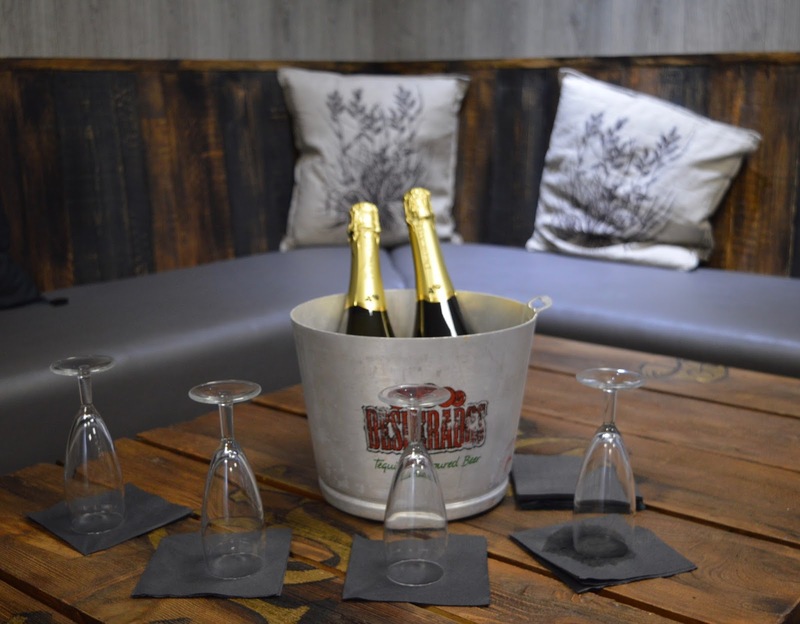 The private lounge is a wonderful place to relax with pre-drinks or enjoy a night in with a takeaway. I'm linking up with Mummy Travels and Wander Mum who host #CityTripping every Tuesday. This is perfect! Heading to Edinburgh next year on business! Found a new place to stay! Wow this is definitely very different to any other hostel I've ever seen! This turns the whole idea of a hostel on it's head. 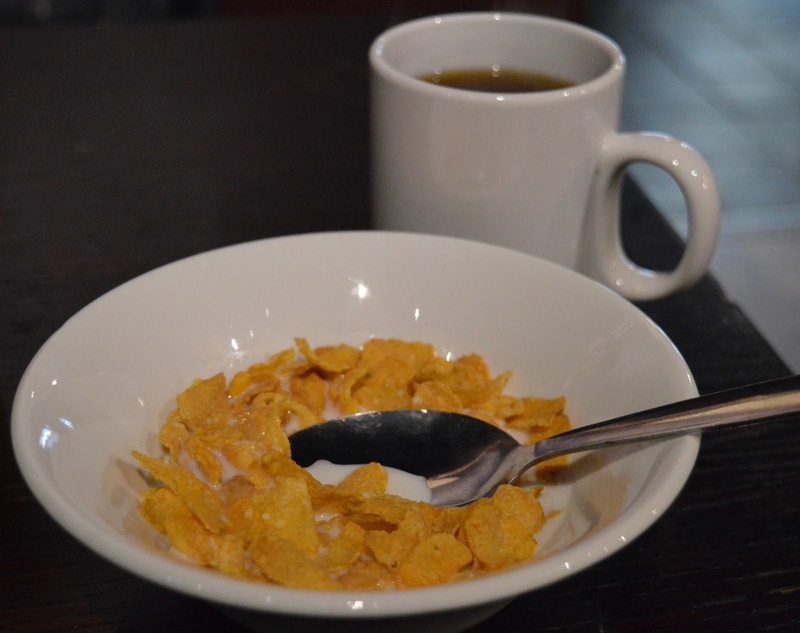 I stayed in hostels during my backpacking years and they were nothing like this. Wow. 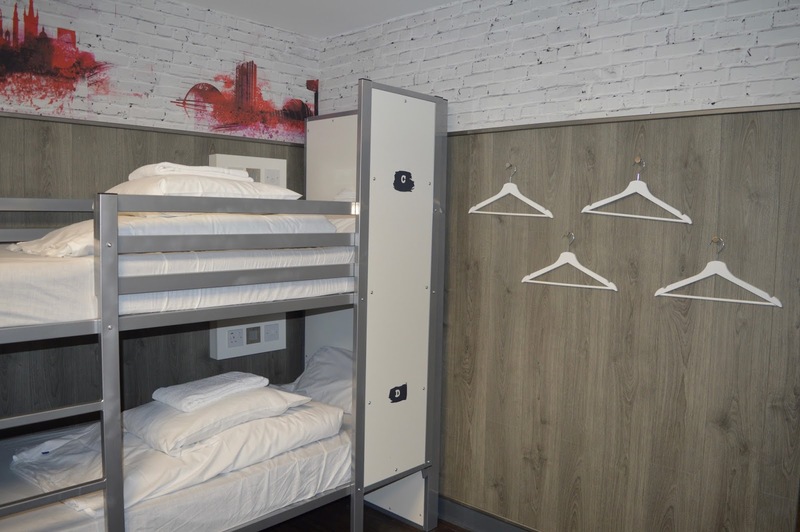 This looks like a pretty decent hostel to be fair! I would love to visit Scotland so that I can try some traditional haggis! I can't believe it is so cheap and I have never seen a hostel look so glamorous. Thank you for sharing. Aw this looks lovely, I really want to visit Glasgow. Great pics! I've never stayed at a hostel but that place looks amazing!!! Cheap as well!!! That's an added bonus. Wow, this sounds like an amazing concept and I would definitely consider staying in one of these. You've got to have bunk beds if you want to call your self a hostel, right? Wow what an awesome looking place to stay - it is so unique! Wow this place looks great and great price too. I love Scotland we went there on our honeymoon. I've never heard of these suites - they look amazing for the price. I'm going to Glasgow in May and June but accommodation is already lined up, will definitely look into this next time. Booked up a night out in November and your review was the reason behind it. 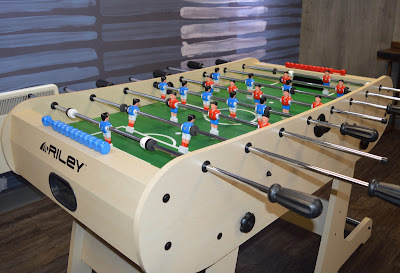 The lads are going to enjoy the football table.